After having worked with people for over three decades, Jonathan began to realize a new approach to his work was required to help transform personal circumstance as he continued to see evidence of external intelligent interference. Shockingly, he found this "anomaly" was more widespread than generally accepted or acknowledged. Upon removal of theses "intelligences", the ex-host would often invite them back through resonance, interest and long personal history. A solution was required to remove all outside negative influences permanently. Most importantly, Jonathan insisted it be as easy and fluid as possible, allowing individuals to choose for themselves. Upon asking his unseen friends what to do about this worrisome situation, they responded by letting him know that he had "come to create a space" and that he already knew how to do this. As with all things spiritual and in alignment one needs to "act" as if the impulse and intelligence is true. Time tells soon enough if the direction is correct by the sweetness of the fruit. Thus began the journey of creating "The Sacred Bubble". Jonathan, together with his wife Hazel, and a few of their “sensitive” friends, began the process by trial and error. The initial Bubble was created through focused mental intention and was projected to the group. The result was a feeling of a clean and sterile space surrounding the body and person. Jonathan decided to experiment again from a different perspective, namely that of the heart, so the first Bubble was removed from the participants. The immediate and surprising response was that they were agitated, desiring the space back right away. This was all he needed to hear. The Bubble worked! What eventually became known as "The Sacred Bubble" evolved into a creation from Jonathan’s heart, directly to the heart of the individual receiving their Bubble. It was completely independent of him and supportive of them. The outer layer acts as permanent protection from all negative, interfering spiritual influences of which there are four distinct types, described in his book, The Universe Project. The next, inner layer, is an energetic space exactly the same as the one your Soul knows as “home”. This allows an instant feeling of comfort and new capacity to connect more deeply with your Soul and original nature. The innermost layer surrounds your personal physical and energetic bodies. The Sacred Bubble allows a person to safely open to themselves seeing all aspects of the Self without any outside interference. A few examples of the many influences removed from an individual who receives a Sacred Bubble are family patterning, including family curses, negative mass consciousness patterning and in fact anything of a negative nature, hindering the opportunity to become the Self fully and experience the present moment happily and fully. Another aspect of The Sacred Bubble program is the reclamation of Soul fragments which have become separated through fear, trauma, guilt or shame. As people found out about this work and what it offered them, they couldn't wait to get their own. Throughout the life of The Sacred Bubble, from its inception in April, 2007 until July, 2009, one thing continued to challenge Jonathan: with external influences permanently removed, opportunities abounded affording a more efficient way for clients to change their internal patterning once and for all. Work on personal issues is difficult: fear and resistance stop most before they start. There is a natural reluctance to change, particularly when something better is offered. The tendency is to wish for stability and comfort. What’s the catch? How great is the risk? What will be lost? Realizing that people really did wish to release self-limiting patterns and grasp essential meaning and purpose in their lives, Jonathan took up the initiative once again. An agreement was forged with their unseen Higher Conscious Friends, completely in alignment with “free choice” as this is the prime intention for the creation of our Universe. These numerous Beings, acting in unison, guided and directed the process. Hence the name: “Unity Bubble”. "We were guided by increasingly Higher Beings for the entire duration of the unfolding process, beginning in May and completing in November, 2009", said Jonathan. 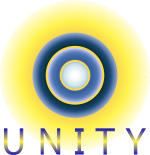 The Unity Bubble was developed over a 6 month period, while Jonathan and Hazel were completely immersed in the process, waking and sleeping, whilst their higher friends continually observed and monitored their progress. Profound adjustment was continually under way. Often, they were steeped in a profoundly deep knowing accompanied with an inability to express in language what was actually occurring to them day by day. On completion, the new Unity Bubble was sealed and ready to be provided to others. The trilogy, I Came to Work with Angels, discloses the intimate nature of, and the conversations with, the Beings, who assisted in this sublime undertaking. "We were aware, as they had confirmed for us, something of this nature had never been attempted before", said Jonathan.